Steve Nash on Stephen Curry's Shooting: "The Greatest There's Ever Been"
Steve Nash shot 43 percent from three-point range over the course of his Hall of Fame worthy career. He earned eight All-Star Game trips and won two NBA MVP’s. As a player who re-defined the point guard position when he entered the league in 1996 with the likes of Allen Iverson, Kobe Bryant and Ray Allen, Nash is someone we should listen to when it comes to today’s NBA. Speaking to Bleacher Report’s Ric Bucher, Nash had some pretty amazing praise to throw Stephen Curry’s way as the reigning NBA MVP leads his Golden State Warriors to the Finals. Nash’s overall response to the question was much more in-depth than this. He wanted to make sure he wasn’t forgetting someone along the way when determining that Curry is the greatest shooter in NBA history. Nash’s comments were part of a larger feature from the Bleacher Report scribe, who asked some of the greatest shooters of all-time where Curry stands on the list. From Rick Barry and Kiki Vandeweghe to Chuck Person and Dana Barros, the answer was the same: Curry is the greatest shooter in the history of the game. These are players whose careers spanned a half decade. They saw the likes of George Gervin, Reggie Miller and Jerry West play. It’s truly amazing to see players of this caliber all agree that Curry is the greatest shooter to ever stop foot on a NBA hardwood, especially with the vast amount of other options out there. Especially considering some of them, notably Rick Barry and Steve Nash, are considered historical shooting presences in association history. Curry, still just 27 years old, has led the NBA in three-point shots made and attempted in each of the past three seasons. In fact, he broke the NBA record for most three-pointers made in 2013-14 before breaking that mark again this year. 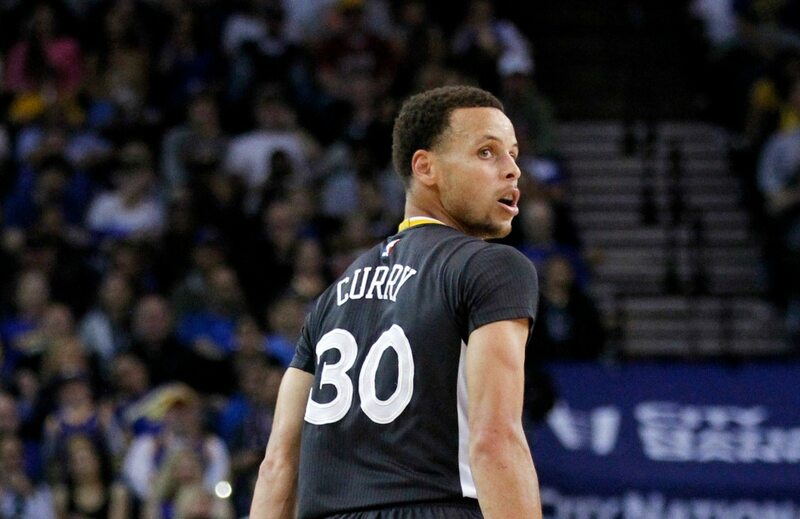 Over the course of his career, Curry is shooting a ridiculous 44 percent from three-point range. The stats are there. It now appears the backing of some of the game’s greats is there as well.